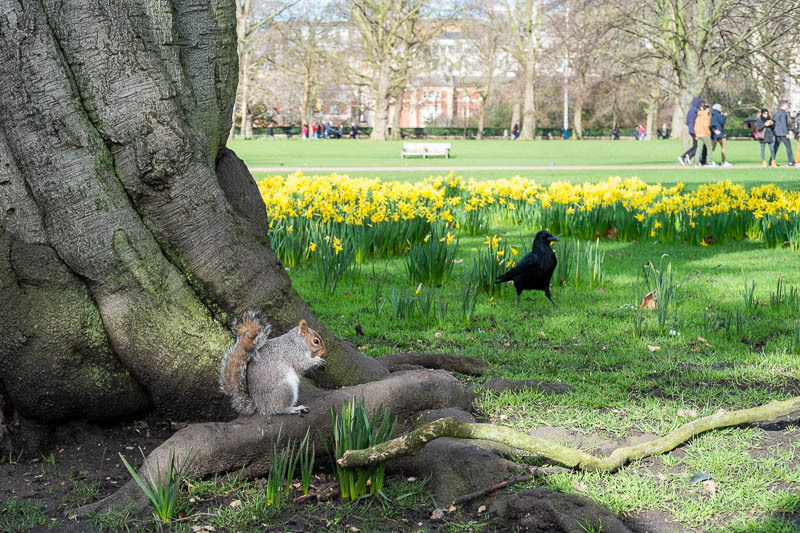 The daffodils are out and the ravens are chasing the squirrels, it's hard to believe it is only the beginning of February. Fabulous capture! I still believe we're going to get a nasty, wintery surprise this month or next. You take some really good pics. wow, awesome capture ! looks more like march ! Lovely. I'm hoping they are out early here in Washington State, too. Wow, that is a lot of daffodils! I agree, this photos looks very springlike. We won't see daffodils until May! Is this for real?!!! Looks amazing, hope the good weather continues. Crazy? I can't believe this was shot in February!